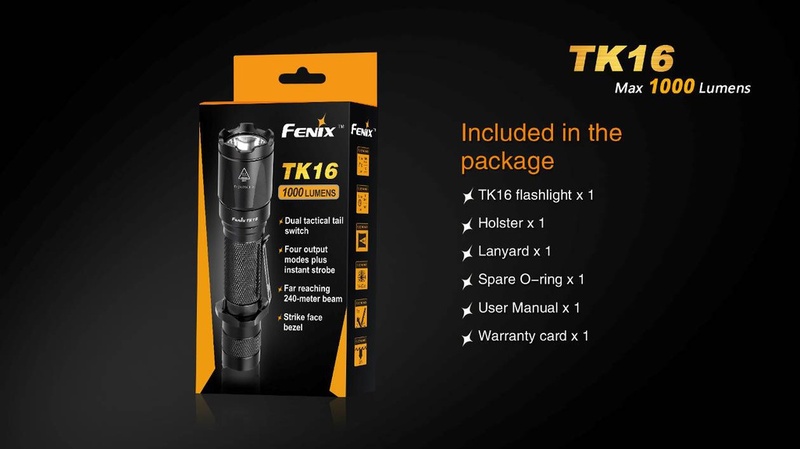 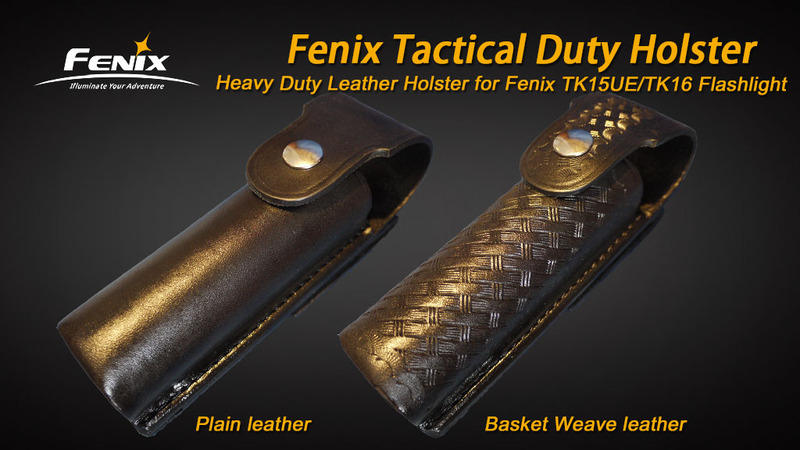 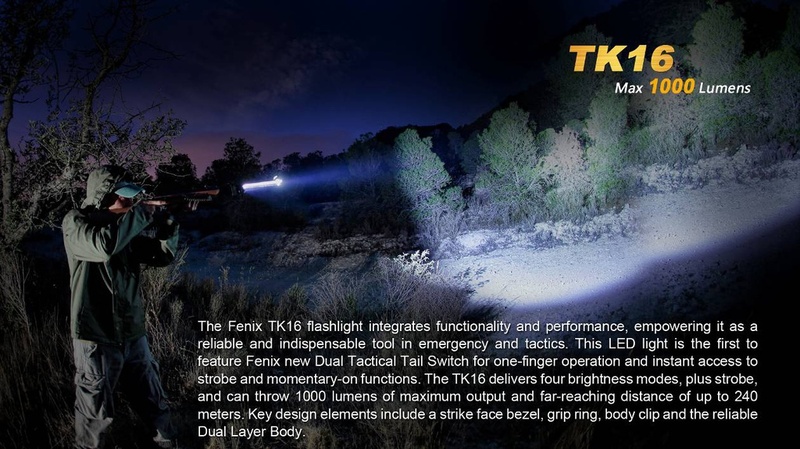 The Fenix TK16 flashlight integrates functionality and performance, empowering it as a reliable and indispensable tool in emergency and tactics. 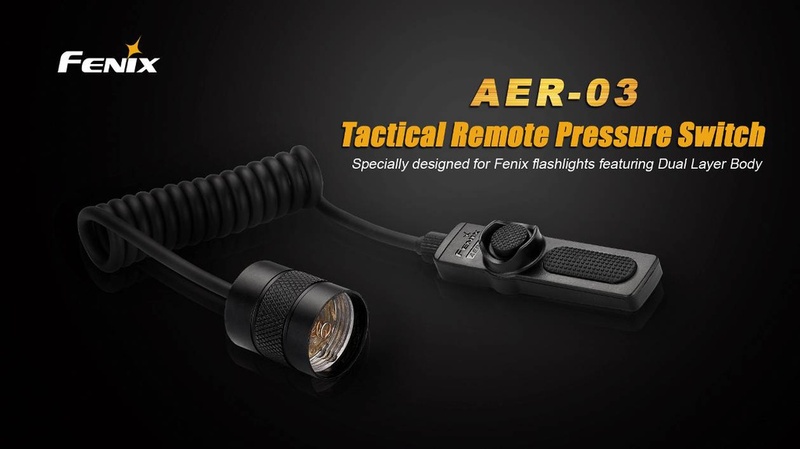 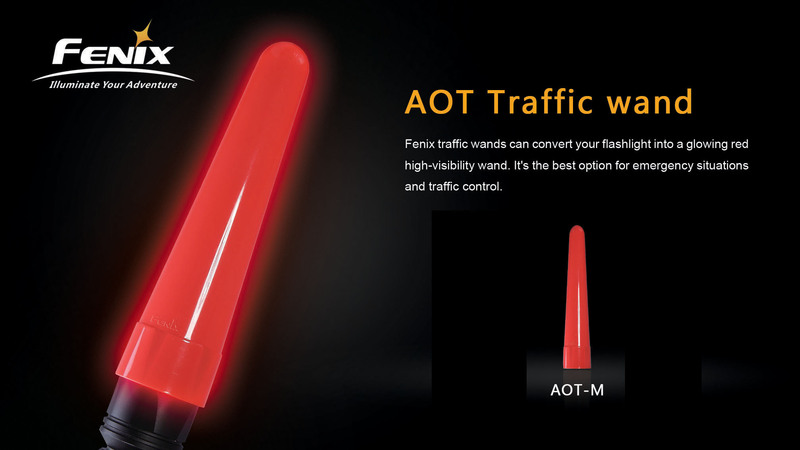 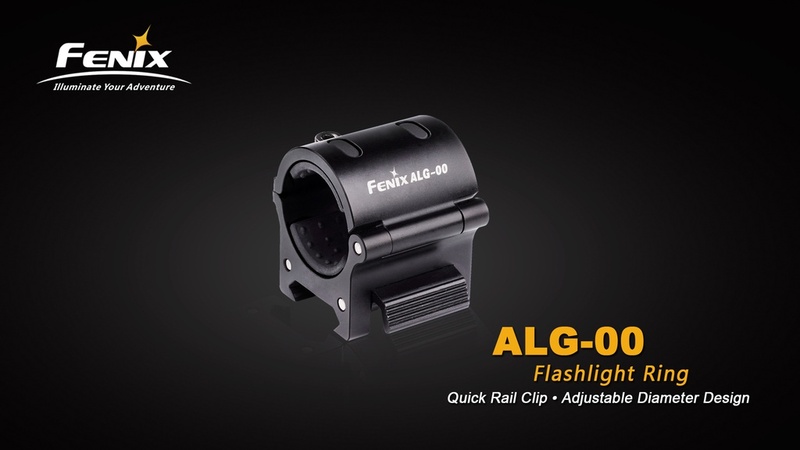 This LED light is the first to feature Fenix new Dual Tactical Tail Switch for one-finger operation and instant access to strobe and momentary-on functions. 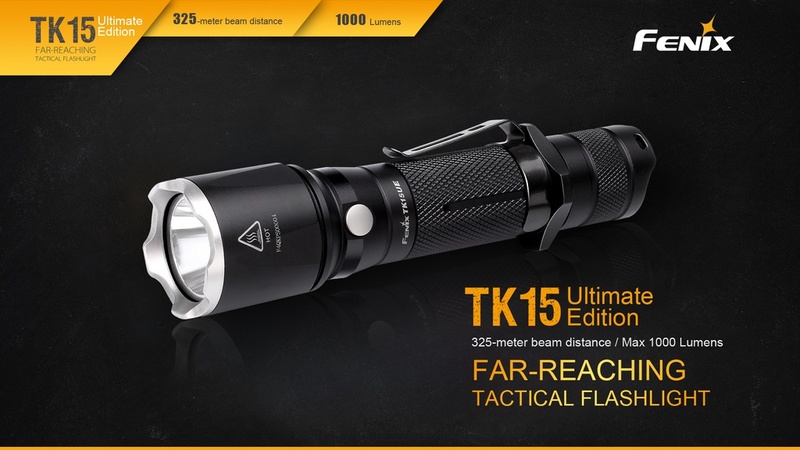 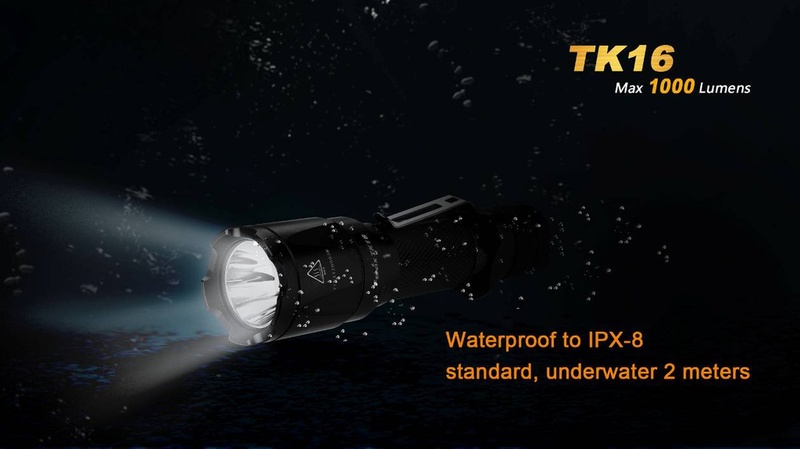 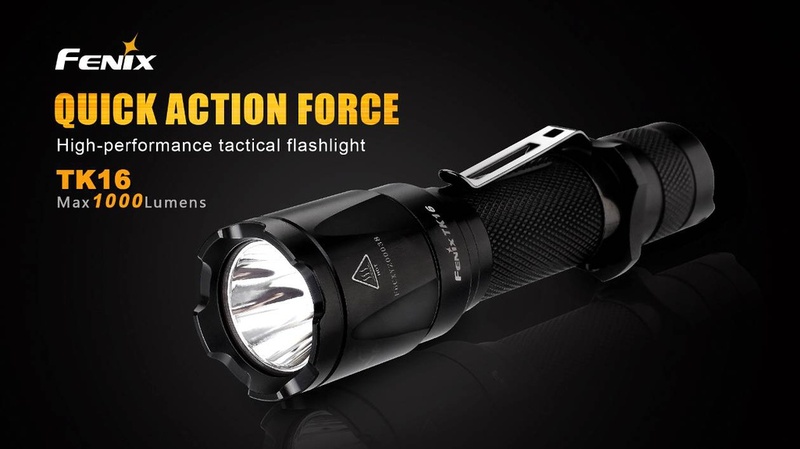 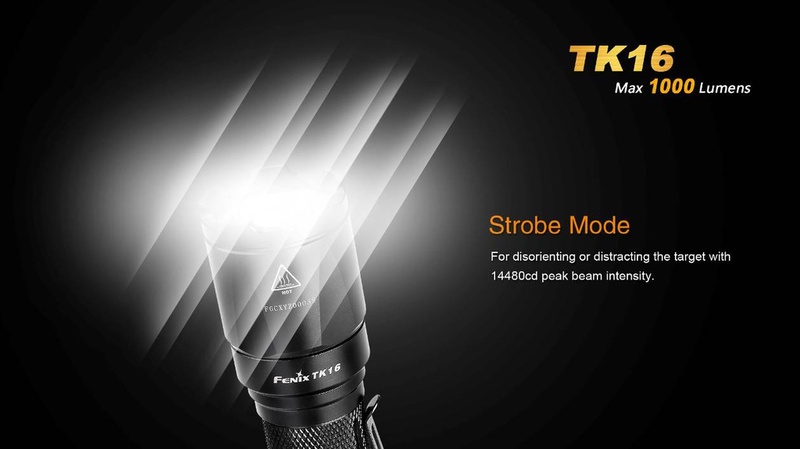 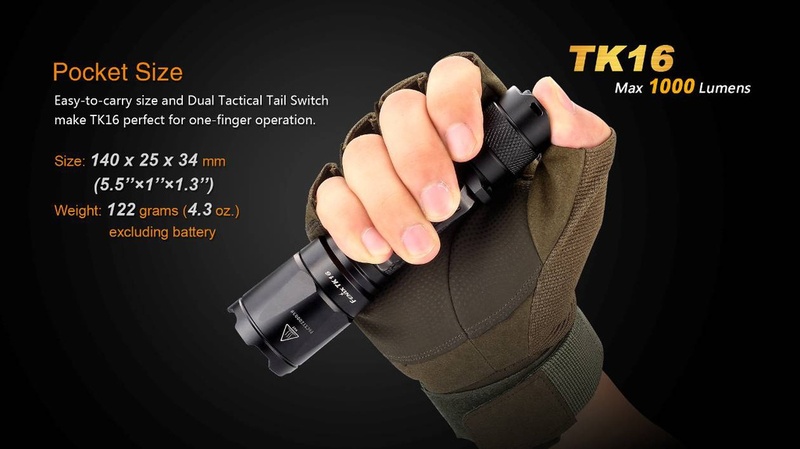 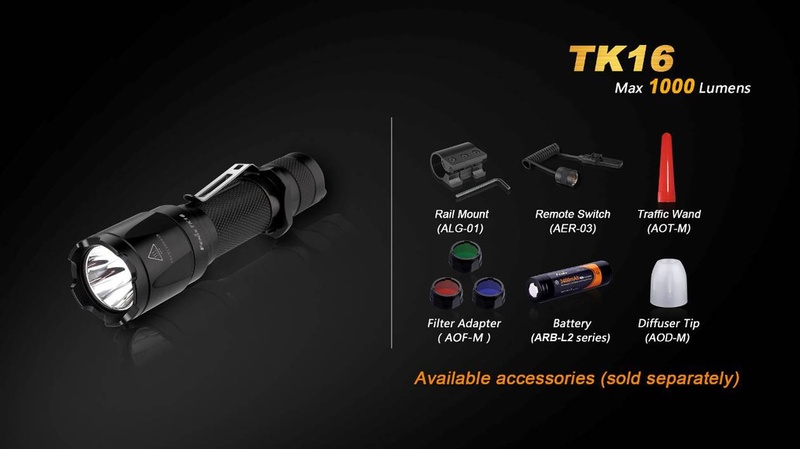 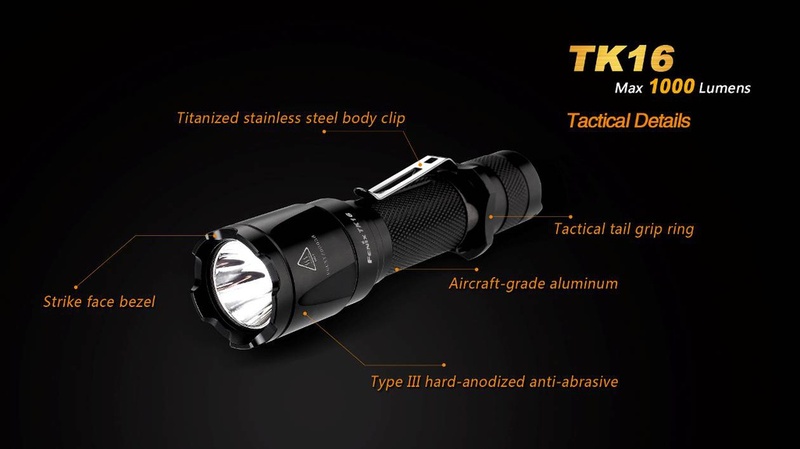 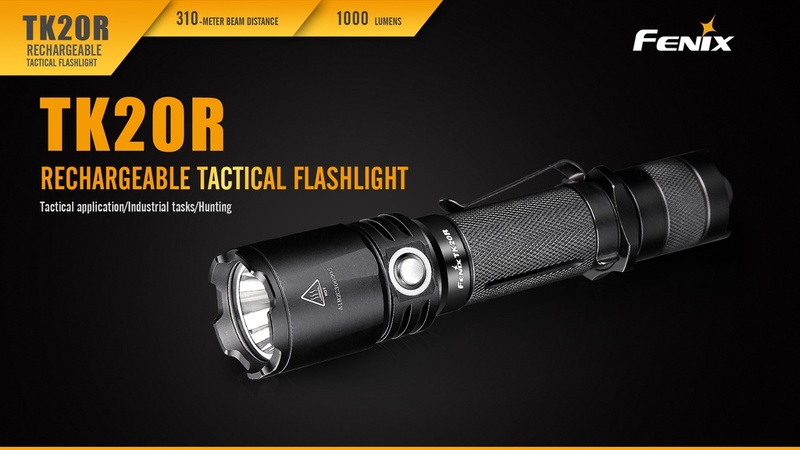 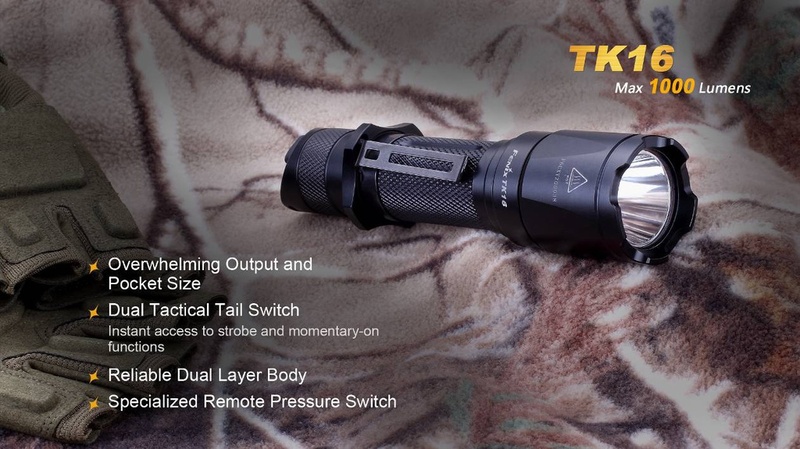 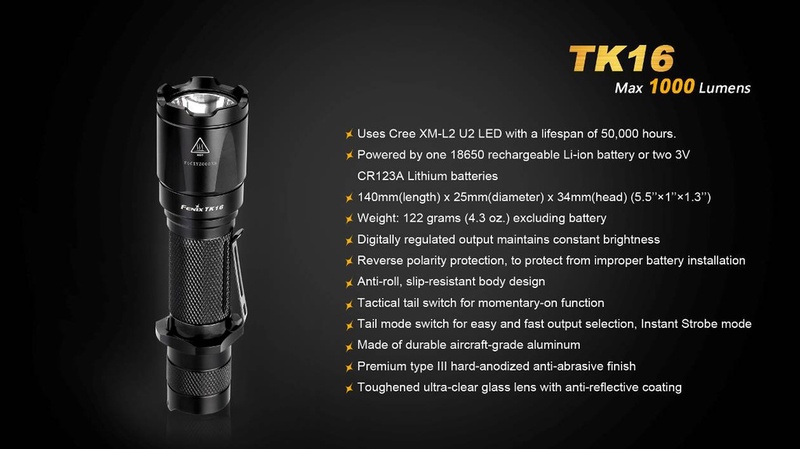 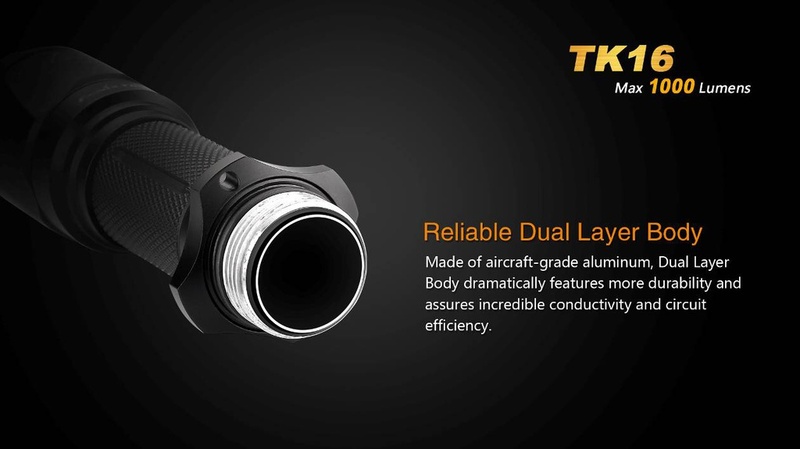 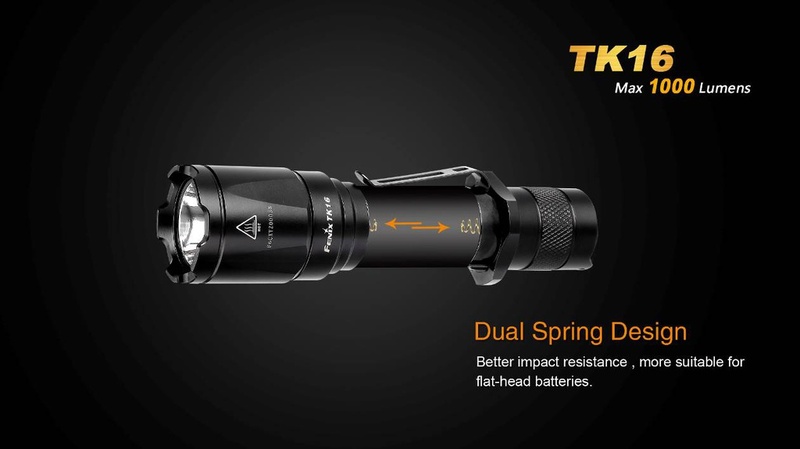 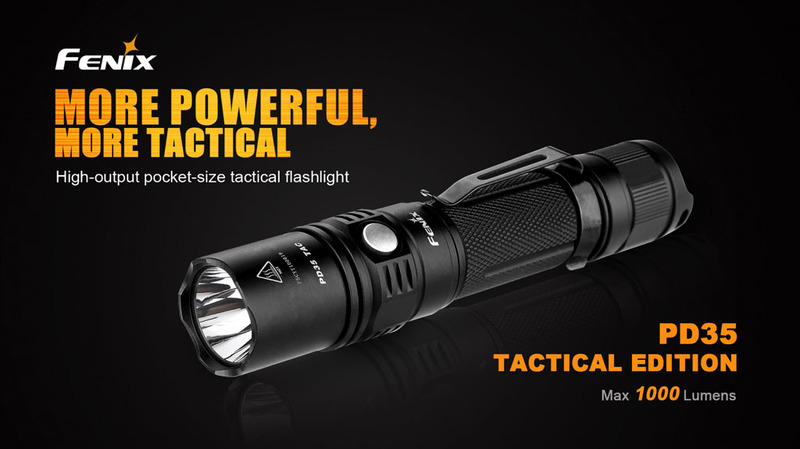 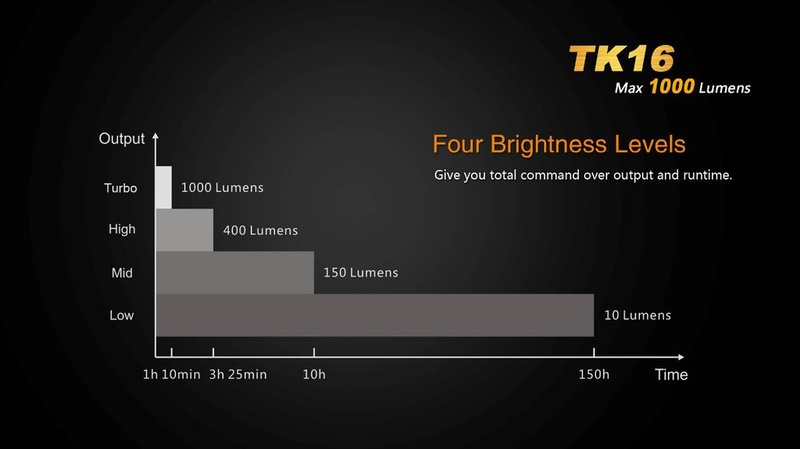 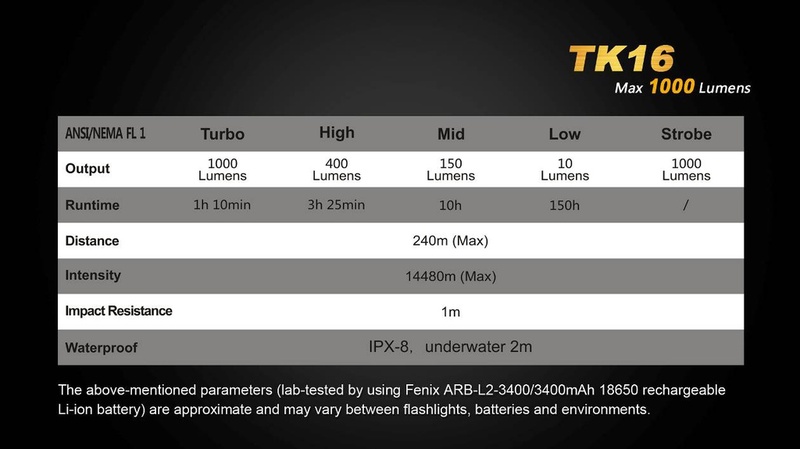 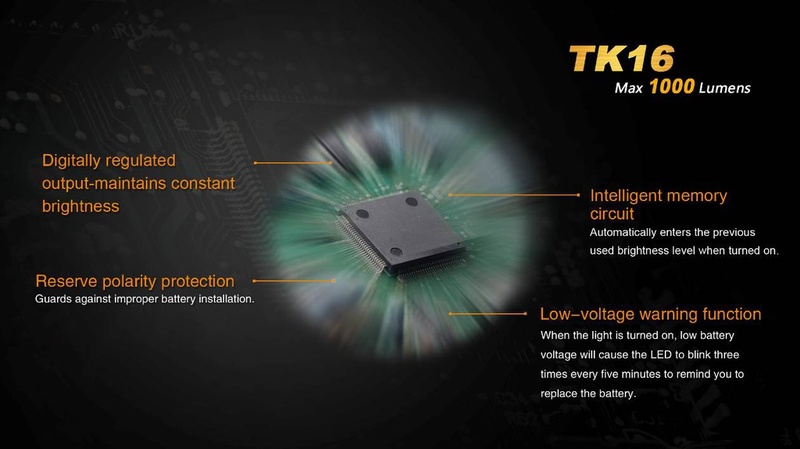 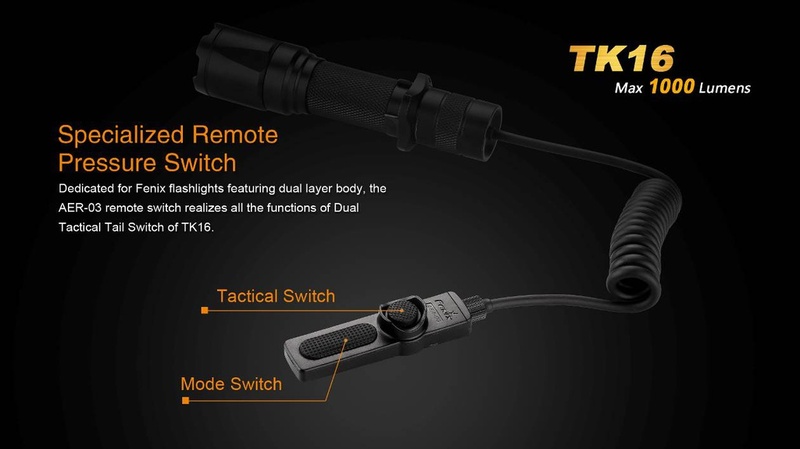 The TK16 delivers four brightness modes, plus strobe, and can throw 1000 lumens of maximum output and far-reaching distance of up to 240 meters. 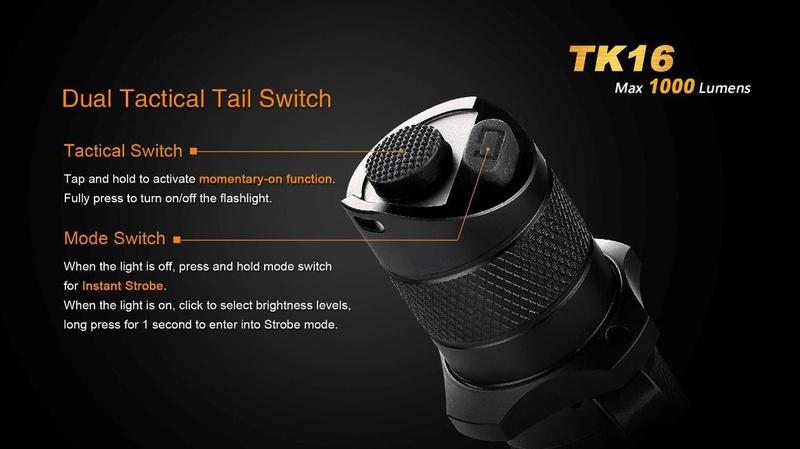 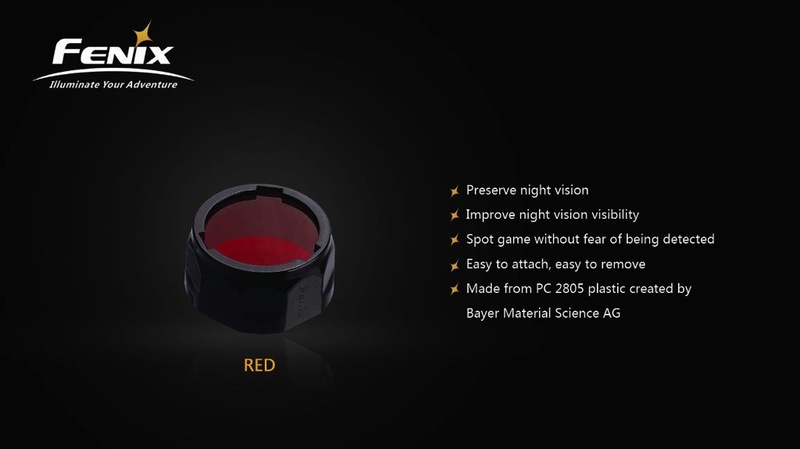 Key design elements include a strike face bezel, grip ring, body clip and the reliable Dual Layer Body. 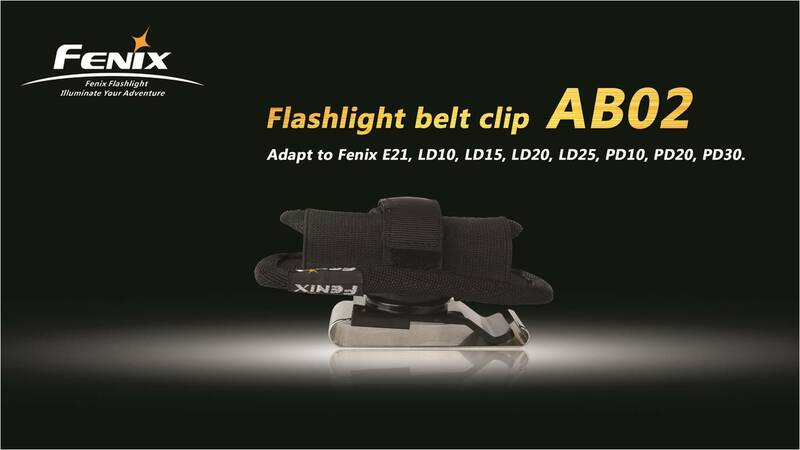 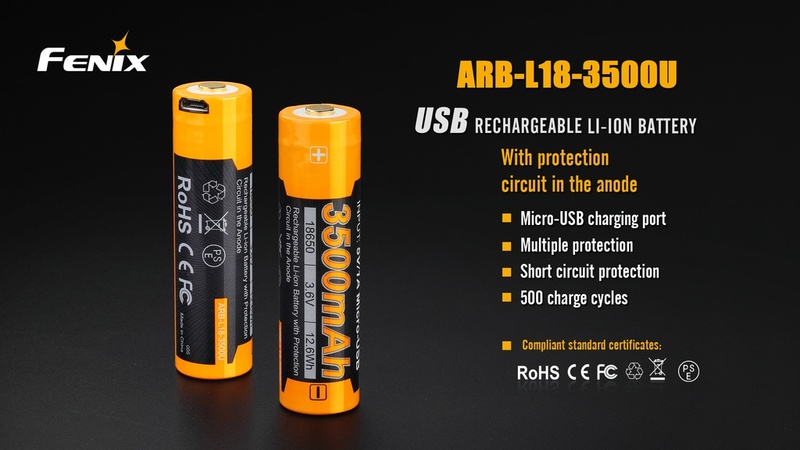 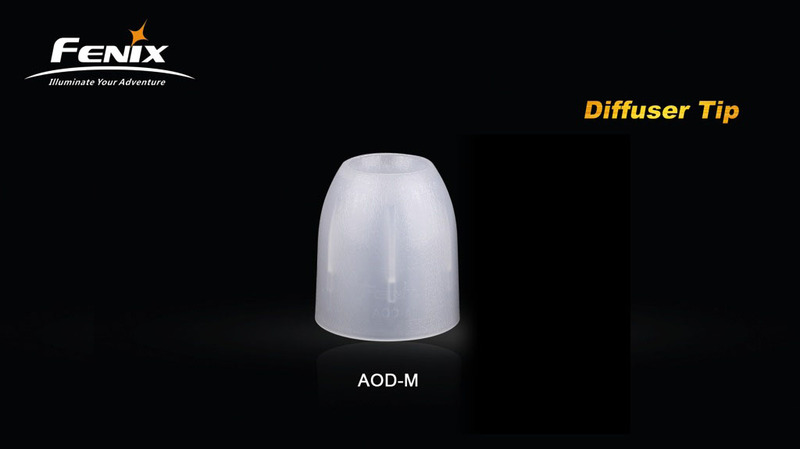 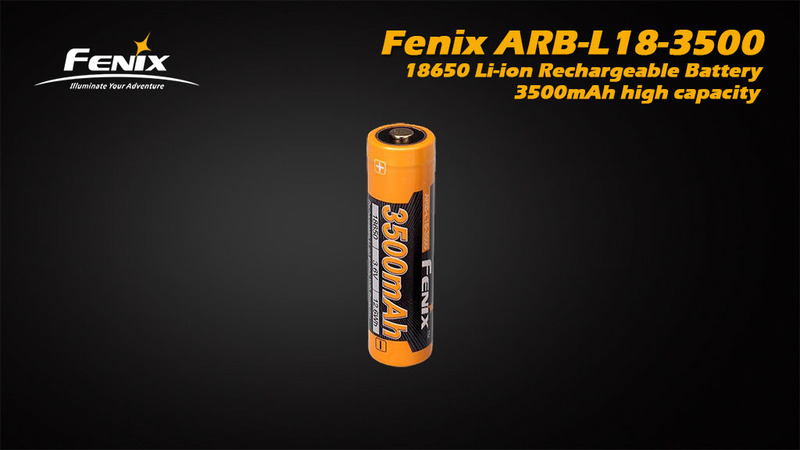 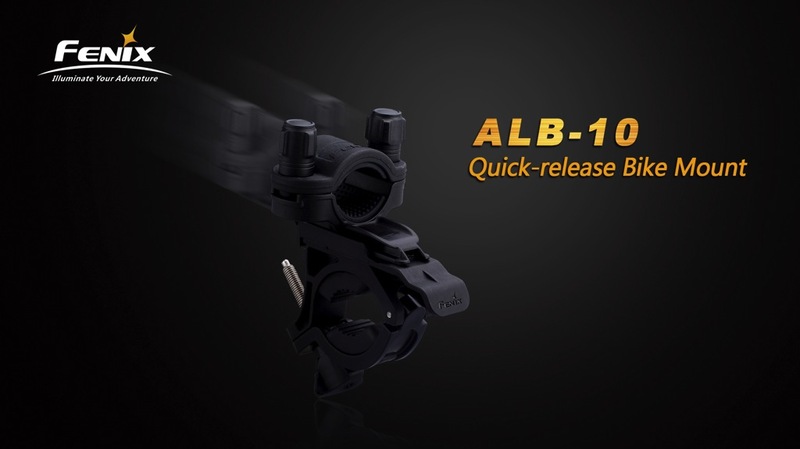 Compatible with: ARB-L18-3500, ARB-L18-3500U, ARB-L18-2600, ARE-X1+, ARE-A2, ARE-A4, ALG-00, AER-03, LHTK16, AOT-M, AOD-M, AOF-M, ALB-10, AB-02. 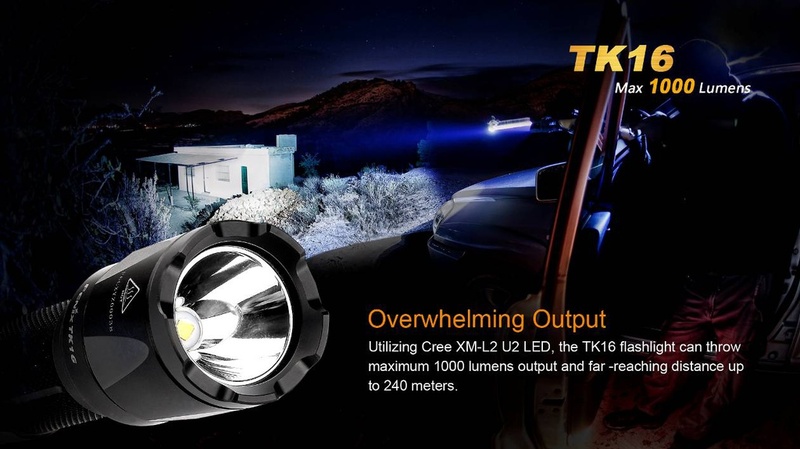 Uses Cree XM-L2 U2 LED with a lifespan of 50,000 hours.